Thanks for visiting! Follow us on Facebook for more Noypi stuff! See you there! 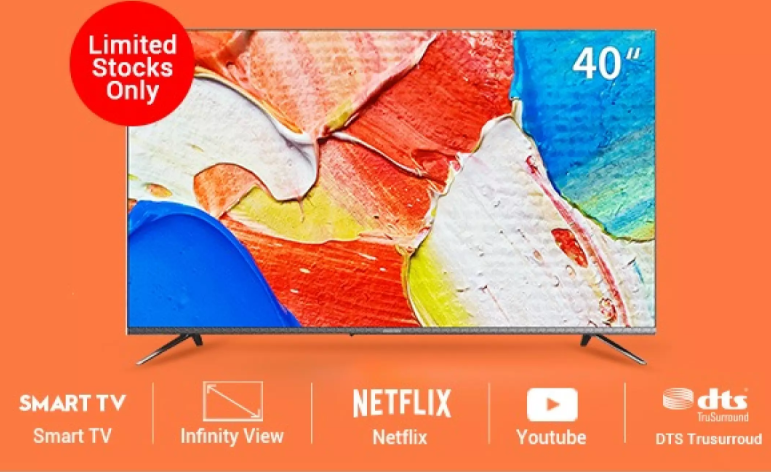 Are you planning to upgrade your old television set to one with larger screen size and with smart features but don't want to break the bank to buy it? This affordable 40-inch smart TV might be perfect for you. For its grand launch in the Philippines, Coocaa, a Shenzhen-born consumer electronics brand, will be selling its 40S3N model for P9,990 at its flagship store on Lazada. This amazing deal is happening on Monday, March 18, for 2 hours from 12 midnight until 2 in the morning. There will only be 100 units to be sold at this price. Check out its product page on Lazada HERE. The award-winning smart TV has a frameless design and a full HD resolution. It comes equipped with a built-in Netflix app and you can also cast videos and photos from your phone to the TV for better viewing. The product won the 2018 Design Award from AWE and the 2017 Red-dot Design award. Coocaa, a registered trademark of TV manufacturer Skyworth, was established in 2006 and has over 150 after sales service center across the country. It offers a 2-year warranty for all its products. One Direction Refuses To Perform For An 8-year-old Girl With Cancer? How Did Flip From Street Outlaws Die? Copyright 2017, Noypi Stuff. All rights Reserved.